If you watch the news at all, you know there are frequently stories of mothers experiencing Postpartum Depression (PPD), and unfortunately not getting the help they need. When we hear about PPD, it is usually in the worst case scenarios—either a mother has harmed her children or harmed herself. What I want you to know today is this: there is so much more to Postpartum Depression than what is reported on the evening news. Today I want to take an opportunity to tell you about the PPD I know and see in my clients. And if you’ve ever experienced PPD, or even think you may be experiencing it now, I want to encourage you to get the help you need. It’s common after having a baby to experience a wide range of emotions—from joy, to sadness, disappointment, and even anger. Having a baby is rough on a woman’s body in a multitude of ways. Labor and delivery can be physically taxing and can require a lot of recovery. Then, throw in a newborn who needs to be fed, changed, and taken care of. Oh, and the lack of sleep while you are attempting to heal and adjust. All of this can create a perfect storm for any new mom. When a mother has a baby, there are many hormone fluctuations that happen. Sometimes, it takes a while for the body to even itself out. When it takes a few weeks to do so, this is what we consider to be the “Baby Blues”. The Baby Blues, according to the Mayo Clinic are symptoms such as Anxiety, mood swings, feeling overwhelmed, crying, irritability, trouble sleeping, lack of focus, and changes in appetite. The Baby Blues will dissipate once the baby is around 1-2 weeks old. According to the National Institute of National Institute of Health around 80% of new moms will experience the Baby Blues after giving birth. According to the World Health Organization World Health Organization (WHO) around 20% of women experience Postpartum Depression. Some women may even experience PPD towards the end of a pregnancy before the baby is ever born. Postpartum Depression lasts much longer than a few weeks, in fact, it can last for a year or more. Unfortunately, PPD does not often just work itself out in a few weeks. It is a clinical diagnosis, and if left untreated, can be very dangerous. PPD symptoms, according to the Mayo Clinic, include feelings of being a bad mom, not bonding with the baby, Depression, mood swings, and feelings of hopelessness. PPD can also cause insomnia or sleeping too much, changes in appetite, withdrawing from family and friends, fatigue, no energy, irritability, and anger. In addition, it can also cause severe Anxiety, Panic Attacks, feeling worthless, shame, inability to focus, and lack of interest in things that usually bring you pleasure. In some cases, PPD will cause suicidal thoughts or even thoughts of harming your child. Why Don’t Women Get Help For Postpartum Depression? Postpartum Depression is often dismissed by medical professionals. It’s very common for clients to walk into therapy, and not feel like their medical Doctor, doula, etc. took them seriously about how much they are hurting. 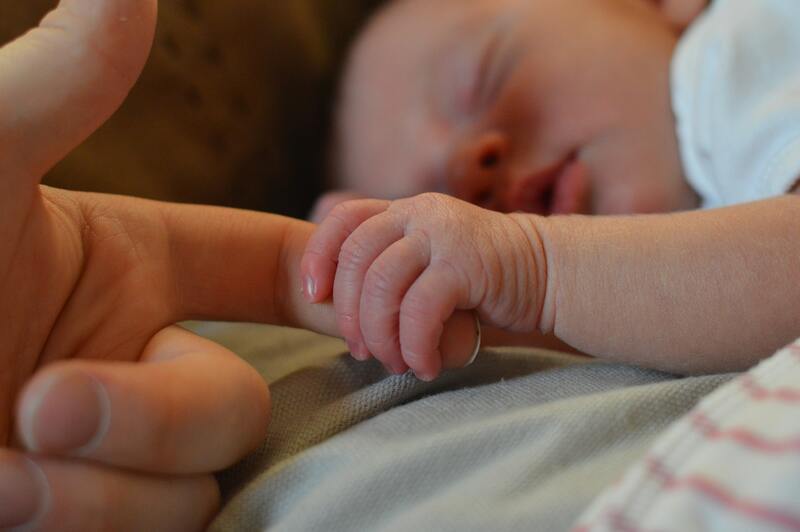 While it is common for most new mothers to struggle to adjust to having a newborn, we need to listen better when they say they are not doing well. Our society frequently fails new moms. Oftentimes new moms will pass Postpartum Depression questionnaires at the Doctor’s office or hospital because their symptoms are not extreme. The questions are often geared towards mothers who have severe PPD. The questionnaires may make a new mom feel like she’s not “bad enough” to consider getting help. She may feel shame about not being able to pull herself out of it (which is not realistic). Many women are scared to speak up about how well they are not doing, oftentimes for fear of judgment and condemnation. PPD is often sensationalized in our media. Just because a mom experiences PPD, does not mean she is going to harm her children or herself. In fact, most new moms do not fall into the severe category, but more the moderate. But, it doesn’t make PPD any less dangerous to a mother’s mental health, and her ability to bond with her new baby. Women also struggle to be open about PPD because they don’t want to be looked at as a bad mom. There is a misconception that you have your child and instantly fall in love with them. Sometimes this just doesn’t happen. This doesn’t mean there is anything wrong with you as a person. It just means that there are some issues that need to be addressed so that you can function in a healthy way and bond with your child. Therapy is a common treatment for PPD. It’s important to have a safe space to be able to process any emotions you may be experiencing after the birth of your child. A therapist can give you tools in order to help bond with the baby. They can also give you guidance to help you take care of yourself. Learning to address the Depression and Anxiety symptoms, and cope in a healthier way, is also extremely important to recovery. Medications such as Anti-Depressants can be used to successfully treat the hormone imbalance that may be occurring. Anti-Depressants help your brain balance out so that the chemicals, hormones, and neurotransmitters can all communicate appropriately. When this occurs, you are able to have better control over your emotions and functioning. If you are reading this, and feel you may be struggling with Postpartum Depression, please reach out. You don’t have to walk this path alone. There are also many community resources available, including PPD Support Groups that are run locally by the Indiana Perinatal Network and Postpartum Support International (PSI).